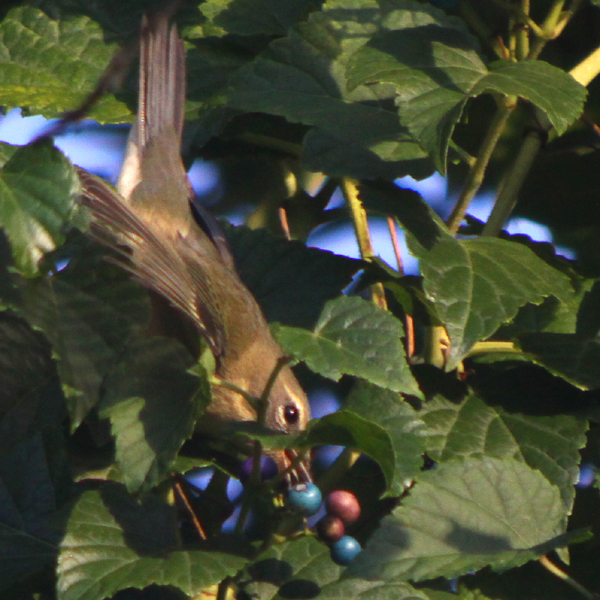 While out and about of late watching wood-warblers, vireos, and other neotropical migrants pausing on their long journey south I have been enjoying watching the different foraging strategies and foods that different species and even individuals of the same species use. Their migration is long and full of perils and at each stopover point the birds need to find and consume enough food to rebuild their fat reserves before the next segment of their journey. 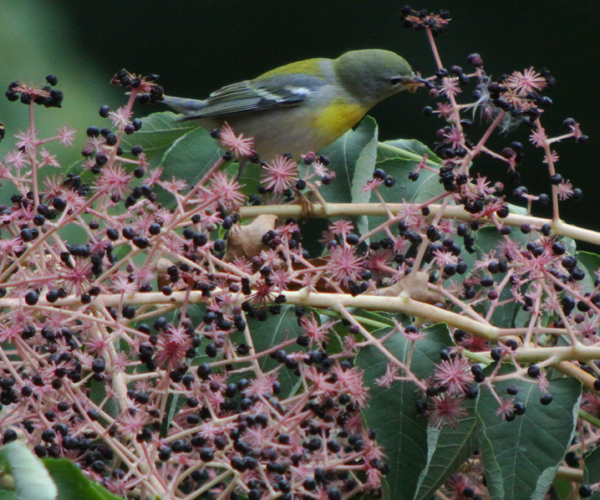 While the food can be divided into vegetable and animal, the variety within each category is astounding, as well as the strategies that the birds use to exploit each food resource. 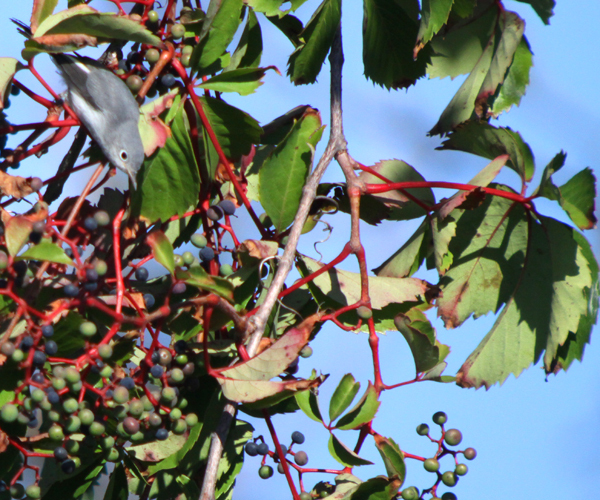 One example is porcelain berries, which I saw some birds, like the Red-eyed Vireo in the little picture above right, sit and eat, others hover and pluck, and still others stretch and grab from a perch above or below the berries. 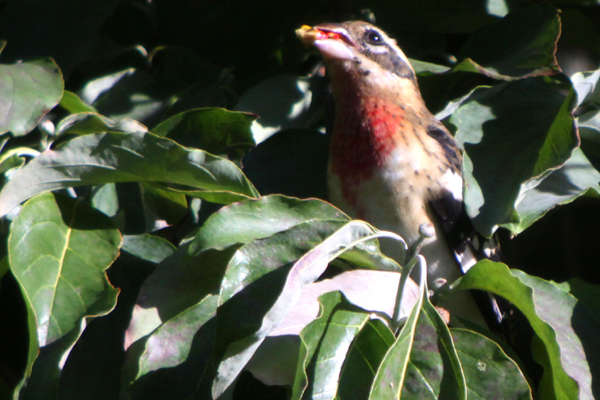 It is as fascinating to see what birds eat and how as it is to just see the birds. And, of course, it is very helpful to know what foods are available and where so a well-prepared birder can get to those spots and let the birds come to him. Of course, if said birder is equipped with a digiscoping rig and makes sure the light is at his back, well, you get galleries of foraging birds like the one below. Enjoy! Some great shots! How did you take them? I’m only an amateur photographer but I’m assuming you zoomed from a distance? Or did you have something stationary nearby? 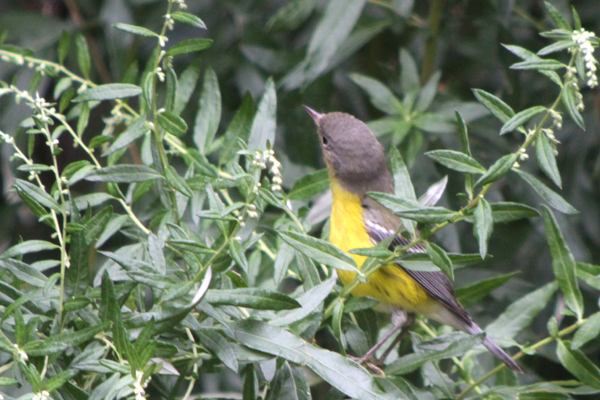 I’ve had a magnolia warbler and cedar waxwings going through my fruited bushes at least twice a year. 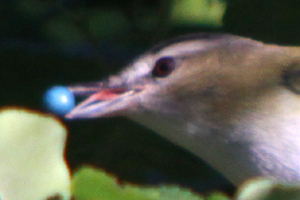 When I was out birding yesterday I saw a foraging technique that I hadn’t noticed before. 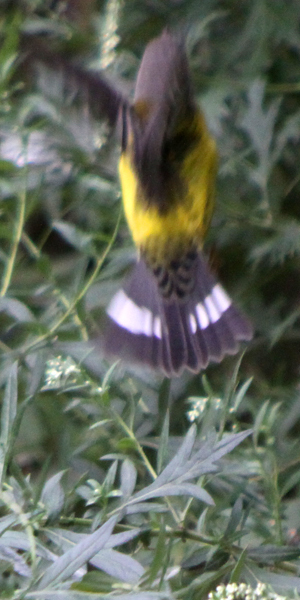 A male Black-throated Blue Warbler was moving along branches, and each time he hopped a little further along, he executed a 180° turn, so that he was able to check in both directions for whatever food source he was looking for (and probably also to check for predators). He did that consistently for as long as I could see him. I posted today about how many more birds are visiting us this week looking for food. Our bird feeder has been exceptionally busy- some are residents (Jays and chickadees), but I’m sure some of the others shortly will be on their way south. Nice birds! I bet they are all going to show up in Ecuador when you come and visit us in November. 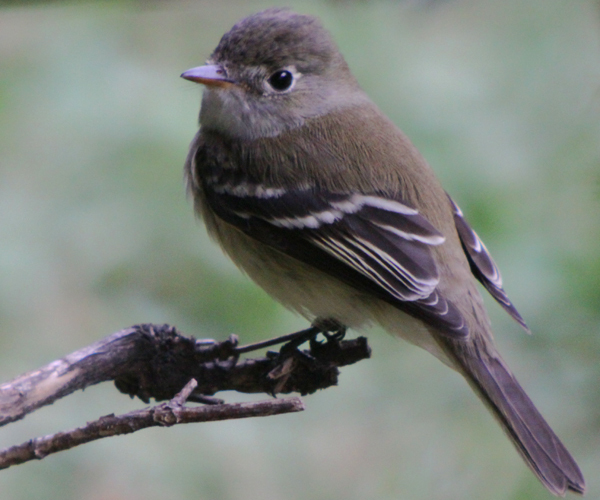 Where Are You Birding This Second Weekend of December 2012?